Cornell Dubilier Marketing, Inc. has Acquired Illinois Capacitor, Inc.
Cornell Dubilier sees this acquisition as a strategic move to grow its board-level power capacitor business and to service customers in Asia through the sales, warehouse and logistics center that Illinois Capacitor currently operates out of Hong Kong. Cornell Dubilier’s customers will benefit by having a full service warehouse in China and access to a broader offering of capacitors. We will continue providing Illinois Capacitor’s customers with the same high level of service. 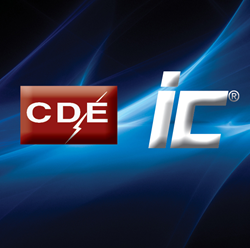 Cornell Dubilier Marketing, Inc announced today that one of its subsidiaries has acquired the assets of Illinois Capacitor and its affiliates. The company sees this acquisition as a strategic move to grow its board-level power capacitor business and to service customers in Asia through the sales, warehouse and logistics center that Illinois Capacitor currently operates out of Hong Kong. With headquarters and operations in Chicago, Illinois Capacitor has been in the capacitor business for more than 80 years and today supplies leading-edge aluminum electrolytic, film, conductive polymer, and electric double layer capacitors to industrial electronics companies worldwide. In addition to its Chicago location, which primarily services the North American market, Illinois Capacitor operates in the Asian markets via its Hong Kong sales and service center. Cornell Dubilier’s strength is in the design and manufacture of electrolytic, AC and DC film, and mica capacitors for power electronics. They have facilities in New Bedford, MA, Liberty, SC, Mexicali, Mexico and Shanghai, China. Its customers are world leaders in renewable energy inverters, welders, UPS systems, motor drives, military and aerospace, and medical imaging. Combined, the two companies offer one of the most extensive portfolios of high quality capacitor technologies available to the global marketplace, along with a team of highly experienced engineers to assist with applications and custom capacitor design for the most demanding applications. Both companies will continue to sell through their current channels and will make announcements in the future as their two well-established capacitor brands come together.